Long and Smooth Haired Dachshund Puppies! "Lovingly Home Raised Exceptional Dachshunds Carrying Champion and International Bloodlines"
PLEASE LEAVE A MESSAGE BY PHONE IF WE SHOULDN'T BE ABLE TO ANSWER or EMAIL ANYTIME at hiskids40@yahoo.com and we WILL GET BACK TO YOU ASAP during business hours! THANK YOU! We are an Alabama family of dachshund lovers, breeder and caretakers of wonderful miniature and occasional tween to standard size dachshunds. We are a canine stewardship program with the goal of improving and preserving the breed of the long and smooth haired dachshund with happy, healthy dogs with good genetics, disposition and given lots of love with a desire to share with our community and world. We have been owned by a dachshund for the past twenty three years after my husband completed residency and joined his father's medical practice. During that time, we were raising four wonderful children and enjoying our dachshund Melly and by 1997, we had two dachshunds (boy and girl) and we studied the breed well and decided to breed them. We retired our first two dachshunds in 2000 and started the program we have now in 2005. 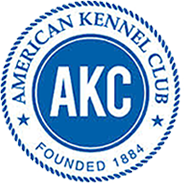 Our foundation dogs come from fine Champion lines including European, Canadian and Russian bloodlines. They are carefully selected and bred to produce quality and healthy puppies. Bountiful Dachshund's goal is to produce gorgeous, well-balanced adults, who are warmly affectionate with family and properly cautious with strangers where quality not quantity, is the goal. It is also our goal to offer a lifetime of support to our dachshund pups and their families and we offer a one year health guarantee against life threatening genetic defects in our contract. On occasion, we also have lovely adult dogs available to place with excellent homes. Please contact us with any questions as we are always happy to speak with other dog lovers! 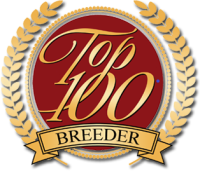 "We spent months researching breeders, Lynn was recommended highly by the vet clinic where our son has studied. We visited her home to see the puppies once the pups were older, met the dam and sire, as well as their other dachshunds. Lynn was very cooperative in helping us through the exciting puppy adoption process. Johann is smart, friendly and beautiful! We had a very positive experience with Bountiful Dachshunds!" 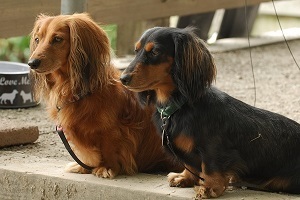 "Bountiful Dachshunds is a kind and caring breeder...REAL to the core! My vet was very impressed with our little Longfellow and wanted to know where we got him. Bountiful Dachshunds are reputable breeders who love their dachshunds. If I ever decide on another one, I will definately get it from them! Thank you Bountiful Dachshunds, we are just putty in his little paws!" Located Twenty Minutes North of the Magic City Birmingham, Alabama!